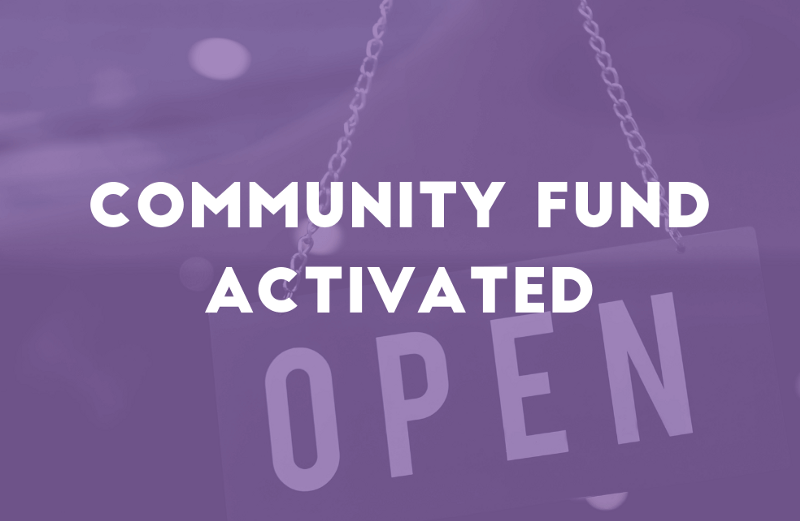 After many months of planning, developing, testing and retesting the NavCoin Community Fund went through its lock-in period and became fully active on Friday last week. Activation means that the world’s first dual-vote Community Fund is open to submissions, proposals can be voted on, and funds released for completed projects. Now the Community Fund is ready to go, what will your project be? Here are some resources to help you get started. Use these resources to help you develop, submit and deliver a finished project with the NavCoin Community Fund. NavCollab website, in the Community Fund channel on Discord, or in the NavCoin subreddit. Most successful proposals will require the application of a range of skills, and it’s unlikely that one person will have them all. The NavCoin Collab website is there to help you build a team and fill skill gaps to make your project the best it can be. Use the built-in Community Fund proposal form in Sakdeniz’ NEXT wallet. The proposal generator in the NavCoin Core wallet using the tool on the Community Fund page. The NavCommunity website has a proposal creation tool. 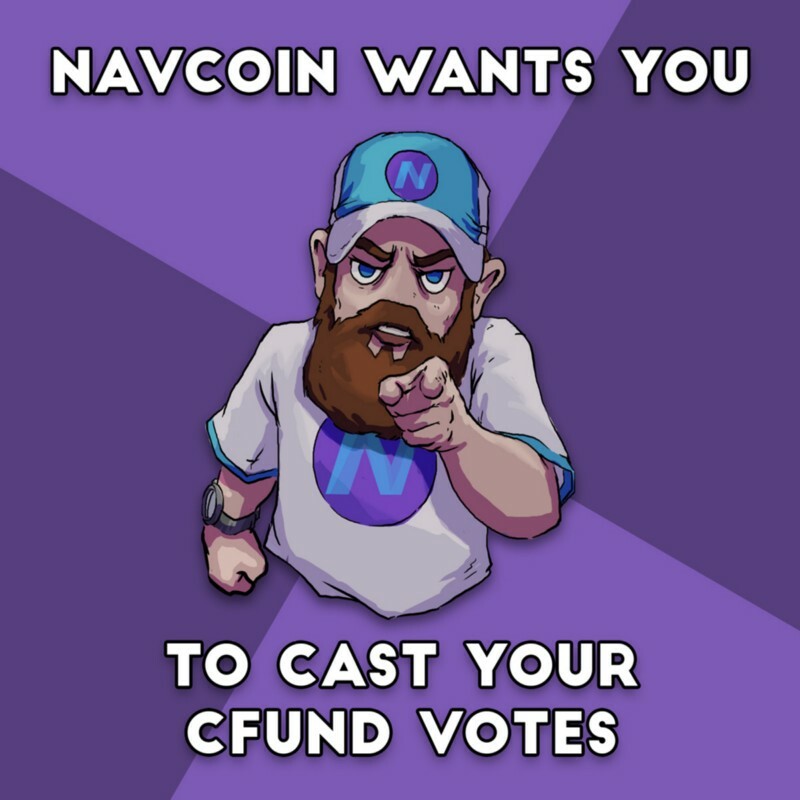 Get your idea top of mind among voters by promoting it on NavCoin’s key social media channels Discord and Reddit. Also, you can make regular updates to your Space on the Collab website and encourage other community members to follow your project. Thanks to everyone who tweeted their ideas, but there can be only one winner and it is the team from the Easy Crypto exchange. Their winning idea is to expand their service into Australia, making it easier for Australians to buy NAV with AUD. They will now get to work directly with the NavCoin Core team to bring their idea to life. For the last two years, the NavPi Stakebox has been the little hero that punches above its weight. It provided the backbone of the NavCoin network, and for only cents worth of energy per year, it did a great job of mining NAV blocks. But a few updates ago the NavPi started to have resource issues. Now that the blockchain has grown to over 2.6 million blocks and with the additional overhead of the Community Fund database, it looks like the NavPi is reaching the limits of its capabilities. We managed to extend its lifespan by adding the option to use a USB drive as additional RAM. This fix got most users up and running again, and many people were able to update to NavCoin Core 4.4.0 via the auto-updater mechanism. However since 4.4.0 was released, the Core developers have made several unsuccessful attempts to create a new image for the NavPi with the Community Fund update. If your NavPi is running 4.4.0 and you’re mining blocks successfully, then by all means continue using it, but please be aware that the NavCoin Core team will not continue officially supporting the NavPi. We’re sad to see the end of life of this awesome piece of hardware, which has given such great service to the NavCoin network. On the bright side, if you have a NavPi that isn’t able to mine NAV anymore, you don’t need to throw it away! They are still awesome little computers, which you can use for many different things. Head over to the Raspberry Pi website and be inspired by all the cool projects. We are currently working to release an image for the ODroid XU4 device which is roughly 4x more powerful than the Raspberry Pi. It should be able to mine the NavCoin blockchain for the foreseeable future, while still only drawing 5v of electricity. The plan is for the ODroid XU4 image to come pre-loaded with NavCoin NEXT wallet, which includes advanced features for viewing and voting on Community Fund proposals. The NavDroid will not run the browser-based interface like the NavPi, instead, it will come pre-configured with VNC to use NEXT over a simple remote desktop connection. In the longer term, we will plan to release the Kauri Wallet on the NavDroid when that’s ready to ship sometime next year. And remember, all these projects are open source, so if anyone else wants to take over the NavPi project and see what they can do to maintain it, you are more than welcome to do so. NavCoin is looking to be listed on new exchanges. The most recent application for listing was to YoBit. Their NavCoin/BTC trading pair is estimated to go online within the next few weeks. Community member mntyfrsh and members of the Core team have been working to restore service to NavPay. It’s hoped that it will be back online over the next few days. Matt, Marcus and summer intern Alex have been focussing on writing tests to cover the upcoming 4.5.0 release which is planned to include the introduction of cold staking and static rewards. Matt, also took time this week to help develop trade relationships between New Zealand and Japan. As the resident Japanese speaker in the building, he met with a delegation of business people from Fukuoka and spoke to them about Encrypt S and the innovative work being done on blockchain technology in Auckland. Applications are coming in for the summer internships, and the Developer and Content teams will start interviewing people who’ve made it onto the shortlist soon. The calibre of applicants is very high, so choosing the successful applicants will be difficult. Please email [email protected] if you would like to apply — must be located in Auckland, NZ. NavCoin Core developer @aguycalledalex offered $500 worth of NAV via social media to the first person who could solve a very tricky math problem, and most importantly demonstrate the correct calculations along the way. There are a number of entries and plenty of different interpretations on how to reach the right answer. Answers are still in the process of being confirmed, so if you think you’ve got what it takes then try it out! In case you missed it here is Alex’s question again. The boot camp is almost ready to go and will give you everything you need to know to develop a compelling NavCoin Community Fund proposal. To register your interest in taking part please complete this form. If you would like to be added to the email list, please sign up here. 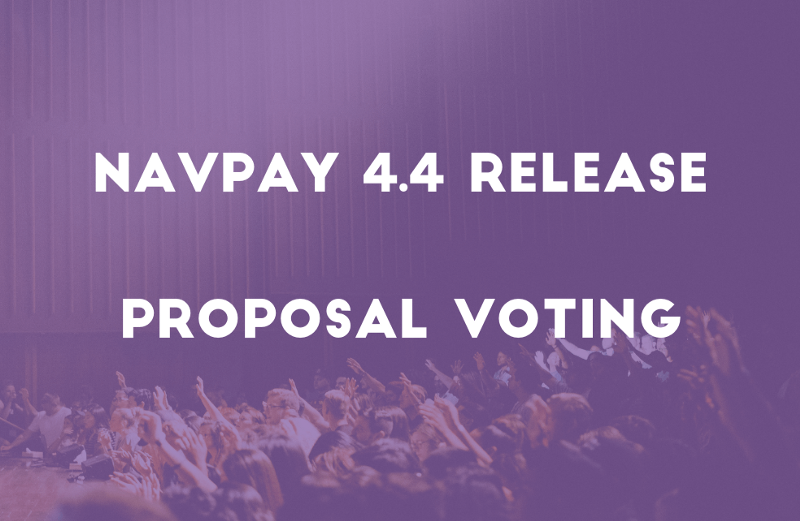 The recent issues with NavPay have been resolved with the updates to the wallet and backend server included in NavPay 4.4.0. Since the Community Fund activated on the mainnet, the NavPay wallet had been experiencing issues sending transactions. Now, this is fixed and NavPay is working as it should. For more details on this solution and how to update your NavPay checkout Craig’s NavHub article. If you have any questions or need more support, join the community on Discord. Sakdeniz’ NEXT wallet provides NavCoin stakers with an easy way to vote on proposals submitted to the Community Fund. You can see an overview of the wallet and its capabilities at the NEXT wallet page on the Collab website. You can also watch this video from the core team’s live stream on how the voting for the proposals works. If you’re running a NavPi and having trouble voting, check out this discussion in Reddit for troubleshooting by community members. Bootstrapping provides you with a much faster way to download the NavCoin blockchain the first time you launch a NavCoin Core or NEXT wallet. The bootstrapping service is provided via AWS and there was a temporary error, which has now been fixed. This Knowledge Base article explains the two methods to bootstrap your wallet. In last week’s Community News we mentioned that due to hardware limitations, the NavPi is approaching the end of its useful life as a staking device for NAV. To ensure that it works until its replacement is ready, there is a stable version of the NavPi available. It contains the 4.3.x wallet, and to start staking you will need to run the built-in updater. The Core devs are making progress with the new NavDroid stakebox project we also discussed last week. Look out for more updates on this long-term solution in the future. The Guerrilla Gang made its first appearance on the Collab website with a proposal for a guerrilla advertising campaign to increase awareness of NavCoin in the general community. CryptoCandor proposed making a review of the NavCoin Community Fund on her YouTube channel. The goal is to show people how the Fund works and hopefully inspire more people to get involved. Check out her proposal on the Collab website. Other new proposals include printing NavCoin stickers to be distributed free to the NavCoin community, Code Signing Certificate for the Core wallet, and a Ledger integration. If you haven’t already registered your profile on the Collab website, why not head over and do it now. Then you’ll be able to post your own ideas for discussion and help other community members with their projects. Last week’s Community News contained a lot of useful information on how to get your Community Fund project started. If you missed it, check it out now at NavHub.org. The boot camp will be getting into action soon. The objective is to equip you with know-how and experience to help you develop your own Community Fund project. To register your interest in taking part please complete this form. Last month we saw the momentous launch of the NavCoin Community Fund which generates 500k NAV per year to fund community based proposals. Thus far there have been 11 proposals created and a lot of discussion and activity from the NavCoin Community. For CFund proposals to pass, there needs to be at least 50% participation in voting by stakers and a 75% acceptance rate within that quorum of voters. So far, we’re seeing around 40% participation and we are calling on all stakers to get involved in this process and cast your votes. This is your opportunity to positively influence the NavCoin community in ways which has never before been possible. It’s in your best interest to have your voice heard and cast your votes either way. Of the top 20 staking addresses, 10 are not voting either yes or no and we need as many people to participate as possible for this process to work. If you recognise any of the addresses below as yours, please check your configuration and make sure you’re voting for the proposals you want. Depending on how you’re staking there are a few ways to vote. The universal way is to add the vote directly to your navcoin.conf file. Repeat for each proposal you want to vote for. Open the debug window and use the command proposalvote followed by the proposal hash and whether you’re voting yes or no. The same command can be issued to navcoin-cli if you’re using the daemon. Go to the Control menu at the top then click on the All Commands button. Fill in the form as follows. The press the Issue Command button. We realise this isn’t the easiest process currently and we’re working to make it simpler to engage in the voting process. Over time the community will release more tools and resources to help smooth out this experience. If you are having trouble casting your votes, the best place to connect with the community and seek personal assistance is on Discord or Reddit. We want each and every staker to take this opportunity to participate in this revolutionary form of direct democracy. This Protocol Upgrade will implement the NPIP_0002 which will introduce a new opcode (OP_COINSTAKE) for the NavCoin scripting language and a new standard transaction type using the new opcode. The wallet will vote this Protocol Upgrade with YES by default. Adds support for Cold Staking Addresses. Signaled by version bit 3. Adds new rpc command getcoldstakingaddress. Wizard to create Cold Staking Addresses in the Receiving tab of the wallet. Updates several RPC commands to provide results relating to Cold Staking. Adds new RPC tests to test Cold Staking Address creation and use. Added a 'Cold Staking' balance display to the wallet GUI. We also performed a number of tests against the cold staking code using a modified wallet client in an attempt to exploit potential weakness in the code. None of these attempts managed to find an exploit. Details can be found under release-notes-4.5.0-additional-testing-notes/modified-coldstaking-client-notes-4.5.0.md. A GUI interface that can be used to vote for community fund proposals and payment requests. A new notification that will appear when a new community fund proposal or payment request is found on the blockchain. Also added a new warning to the wallet screen to inform users when their wallet is syncing that their balance may not be displaying accurately. This Protocol Upgrade will change the NavCoin Staking block reward to a fixed amount of 2 NAV per block. You can read more about this upgrade at its NPIP page, NPIP_0004. Signaled by version bit 15. Adds RPC tests for Static Rewards. To reject this Protocol Upgrade, add the following line to your navcoin.conf file: rejectversionbit=15. This Protocol Upgrade would introduce a reduction of the required quorum for the Community Fund in the second half of the votings from 50% to 40%. The wallet will vote this Protocol Upgrade with NO by default. Signaled by version bit 17. To accept this Protocol Upgrade, add the following line to your navcoin.conf file: acceptversionbit=17. By default the wallet votes yes for the Protocol Upgrades included in the wallet. This change adds a list of version bits which will be voted no by default, while also adding an option to manually vote yes for those bits. The wallet will now rate-limit the amount of block headers received from a single peer before banning them for misbehaving. This is an anti-spam measure and is customizable via the config file or via launch arguments. -headerspamfilter=<0 or 1> - 1 will turn the filter on (it is on by default), and 0 will turn it off. -headerspamfiltermaxsize=<number> - The number you wish to set as the new max size. -headerspamfiltermaxavg=<number> - The number you wish to set as the new max average. Shows help for proposalvotelist and paymentrequestvotelist. Shows proposals and payment requests in pending state without vote. Categorises cfund rpc commands under own category. Updates RPC tests for these commands. *The hashes of Windows .exe builds are currently nondeterministic. Users who are concerned with the checksums of .exe builds should compile their own builds to verify this. The NavCoin Community is a hive of activity this week with NEXT launching their lite wallet preview, the Bulletproofs Library being added to the ZeroCT PR, three articles published about NavCoin and a BTC/NAV pair being added on NovaExchange. 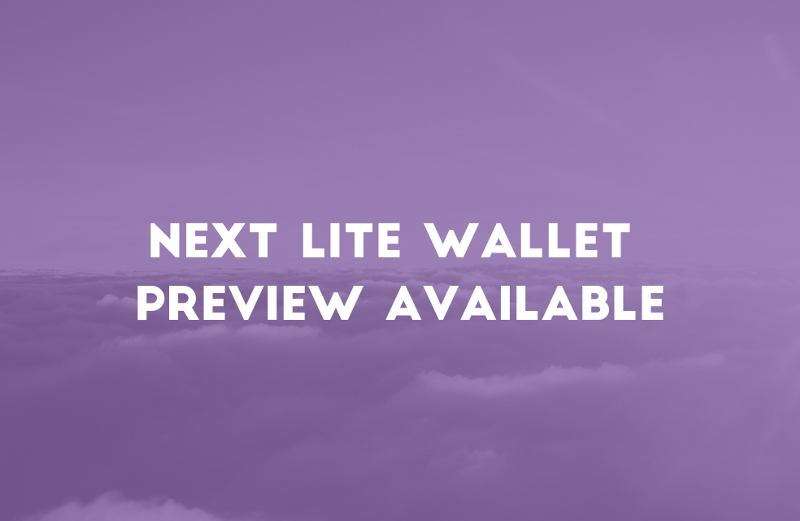 The NEXT Wallet developers have released the public alpha version of their lite wallet for NavCoin. NEXT first launched in June 2018 as an alternate interface for NavCoin Core. Since then NEXT has added support for multiple cryptocurrencies running as full nodes including LTC, DASH, PIVX and more. Updates have included advanced features for NavCoin such as community fund integration, news and a marketplace. This latest release includes the capability to send and receive NavCoin without needing to download and validate gigabytes of blockchain data. After creating a wallet and securing it with a passphrase you can instantly start using NavCoin. The private keys never leave your device and signed transactions are sent to the broadcast server from the wallet which are unable to be tampered with in transit. The lite wallet capability is still being tested by the development team, so if you want to check it out and participate in the public beta test then please download the latest version and join the navcoin discord server to give your feedback. As with all pre-release software that is being publicly tested, be sensible with how much NAV you move there until a stable release is available. For further information please see the NEXT Lite Wallet (v1.1.3) release notes. Alex has been working to add the Bulletproofs Rangeproof Library to the ZeroCT implementation committed by Skreener. The Bulletproofs Library is now committed to the PR along with some initial unit tests. This is the first step towards moving away from denomination based accumulators and including confidential transaction amounts into the ZeroCT implementation. Marcus and other community members have been helping to test the ZeroCT PR and continue to work with Alex towards finishing and stabilizing this new privacy protocol implementation. Other progress on NavCoin Core has been made this week the NavCore Interns who continue to work on the Community Fund interface and Marcus who has been working on a range of GitHub issues and testing the existing Pull Requests. Community Members Juguelio and Chasethechaser working hard to get NavCoin listed on new exchanges over the last few weeks. This week a BTC/NAV pair has been added to NovaExchange with more listings in the works. Over the last week there have been multiple articles published about NavCoin as crypto news websites around the world start to take notice of this great project and strong community. Check them out below. The API for the NavExplorer has been migrated to ElasticSearch and GoLang. This architecture change should provide a performance increase to the NavExplorer API by offering scalable, enterprise grade searching of NavExplorer’s data. The API has now been opened to the public and implementation details can be found on Prodpeak’s NavExplorer GitHub repository. Matt & Alex have continued work on the NavDroid StakeBox adding a notifications widget and service that can alert the user if the daemon is down, there’s an update available or other various warnings. They’re moving onto the wallet functionality after refactoring the Community Fund widgets and finishing the home page overview. To keep up to date with the latest progress on this project make sure you follow the NavCoin Angular GitHub repository. The Blockchain Association of NZ is hosting NavCoin’s Co-Founder Craig MacGregor to speak at their speaker series in Auckland. Craig MacGregor will be presenting an overview of NavCoin, how it has evolved since its creation, what challenges the team has faced and what lies in the road ahead, followed by a Q&A session. The event is free entry but you must register on the Meetup Event; BlockchainNZ Talk — Craig MacGregor from NavCoin to reserve a seat. This event runs from 5:30pm — 7:00pm after which the NavCoin Core team will be heading over to Jack Tar for the NavCoin & Cryptocurrency Meetup from 7:00pm — 9:00pm which is a more casual social event. There is currently 119,578 NAV available in the community fund with 6 pending proposals and 3 pending payment requests active being voted on. If you are staking coins make sure you head on over, learn what they’re about and cast your votes accordingly. That’s all for this week. Don’t forget that you can receive the weekly report by email. If you would like to be added to the mailing list, please sign up here. And if you want your project included in the community news, jump on the NavCoin Discord and post it to the #weekly-update channel. The fully featured ZeroCT implementation has been launched on the testnet and NavCoin has been listed on the Equicex Exchange & Debit Card platform. 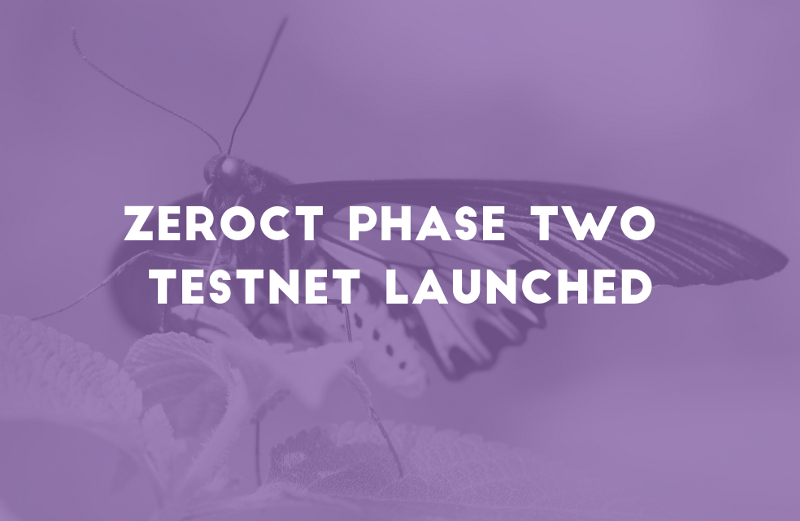 NavCoin’s new on-chain private transaction protocol ZeroCT has reached another major milestone with the deployment of its second phase to the testnet. The addition of non-denominational RSA accumulators and confidential transactions means the testnet now meets the design specification described in the ZeroCT white paper. With the main protocol implementation complete, the efforts shift to review, refinement, testing and interface design. The more people who can review the code and test the wallet, the faster and more thorough this process will be. You don’t have to be a developer to participate in the beta testing, just try it out and if anything doesn’t work as expected log an issue on GitHub and chat with us on Discord. NavCoin has been listed on Equicex exchange which is tightly integrated with their cryptocurrency debit card service. The website states their debit card requires no identification, is 100% anonymous and also has no daily or monthly transaction limits. They offer a range of options including physical cards, virtual cards and even offshore bank accounts. The physical cards cost $50 + shipping and has both monthly and transactional fees, while the virtual card only cost $5 and has no monthly service fee. The long awaited and much improved Community Fund interface for NavCoin Core has been approved and merged into the master branch. This means it will be available in the next NavCoin Core version (4.5.3) or if you want to try it out early, you can compile your own wallet from the source code on GitHub. This was a large portion of the NavCoin Core Interns work over final month of their internship, so it’s great to see this work completed and their efforts realised. The web interface for the NavDroid has now been completed and the focus has shifted to testing on the device and completing the device specific commands like rebooting and updating the daemon. This process has taken a bit longer than expected but is nearing completion. We are hoping to have the public beta distributed in the next few days. It’s worth noting that the NavDroid interface is built in Angular and NodeJS, and is completely open source. The current interface is pretty basic with its design based on Google’s Material UI. Once version 1.0 is launched we will be looking for web developers & designers who are keen to help improve the interface and contribute to maintaining this great project. It’s starter projects like this which offer a great foot in the door for anyone with web skills to being transitioning to working with blockchain and cryptocurrency without being overwhelmed by blockchain protocol engineering. NavCoin is once again available for trading on Bisq thanks to the acceptance of a pull request submitted to their platform by Alex. Bisq is a decentralised exchange where you can trade NAV while not needing to trust your coins to a third party. The coins you trade remain on your computer until the trade is confirmed and completed peer to peer. Decentralised exchanges are a great way to remain in control of your private keys while buying or selling cryptocurrencies. NavCoin has been added to the Tokenview Block Explorer which provides explorers for hundreds of cryptocurrency projects. Tokenview offers a range of services including an API, market analysis and transaction tracking. Tokenview is the third block explorer available for NAV after NavExplorer and CryptoID. There is currently 93,000 NAV available in the community fund with 5 pending proposals and 3 pending payment requests active being voted on. If you are staking coins make sure you head on over, learn what they’re about and cast your votes.